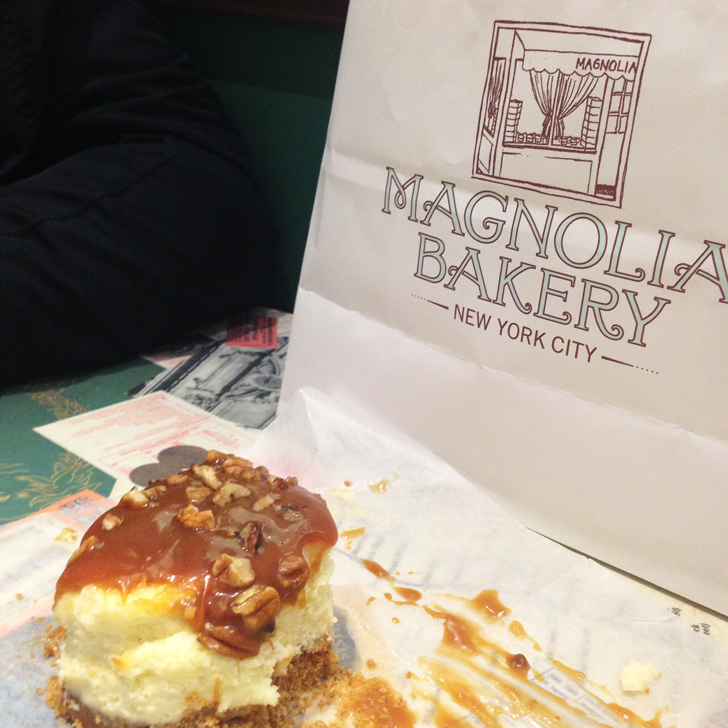 Whilst Magnolia Bakery might be best known for their cupcakes, our absolute favourite is their cheesecake. With 6$ each it is not exactly cheap, but worth every cent and you can easily share one between two (don’t be fooled by the size, they really are quite rich and filling). Last time I also tried their famous banana pudding, which is also very tasty, but no match to the cheesecakes in my opinion. 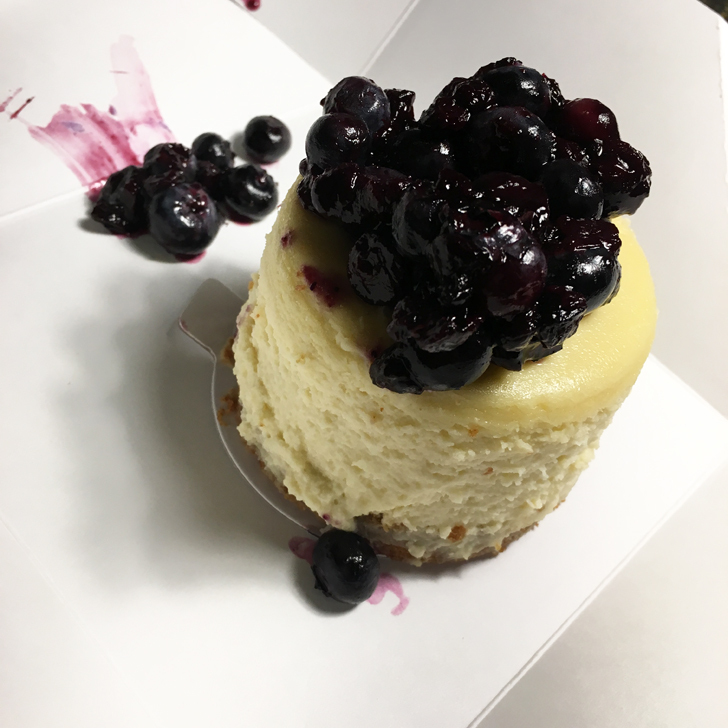 If you have a sweet tooth, head over to ‘Girl with the Passport’ for Kelly’s ‘20 Best Dessert Places in New York City‘ (well 19, since we both recommend Magnolia Bakery … shows you just how yummy they are). Believe me, it’s well worth it. 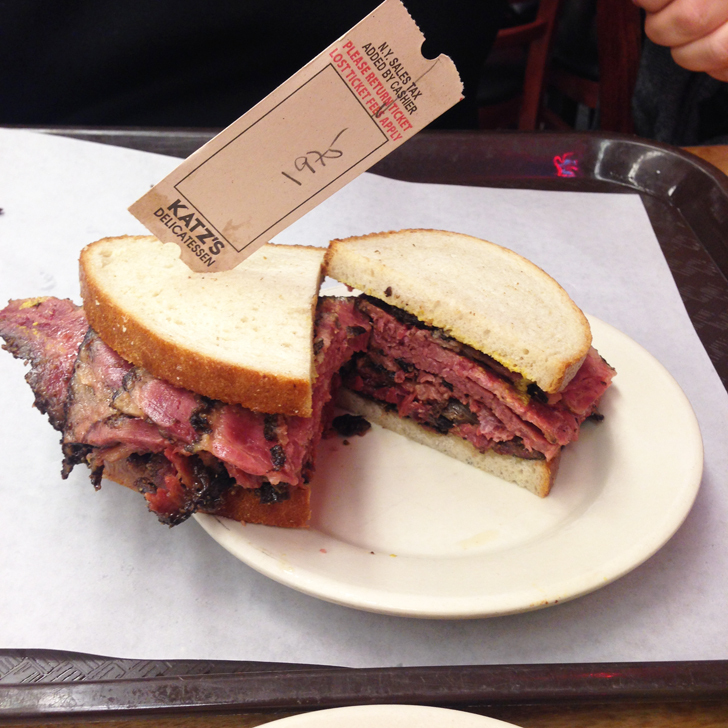 I’ve mentioned Katz’s Delicatessen before (Top Five Things to do in NYC), but I can only repeat myself. Go and check it out. 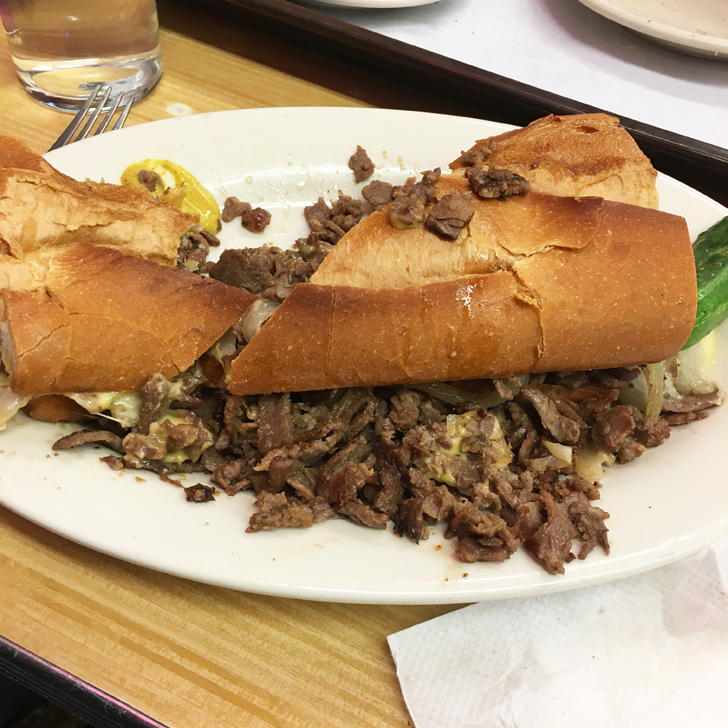 Mr T loves their Pastrami sandwich (I am sure he occasionally dreams of it) and I can absolutely recommend their cheese steak (whilst it is very tasty, I am not much of a Pastrami sandwich kinda girl). 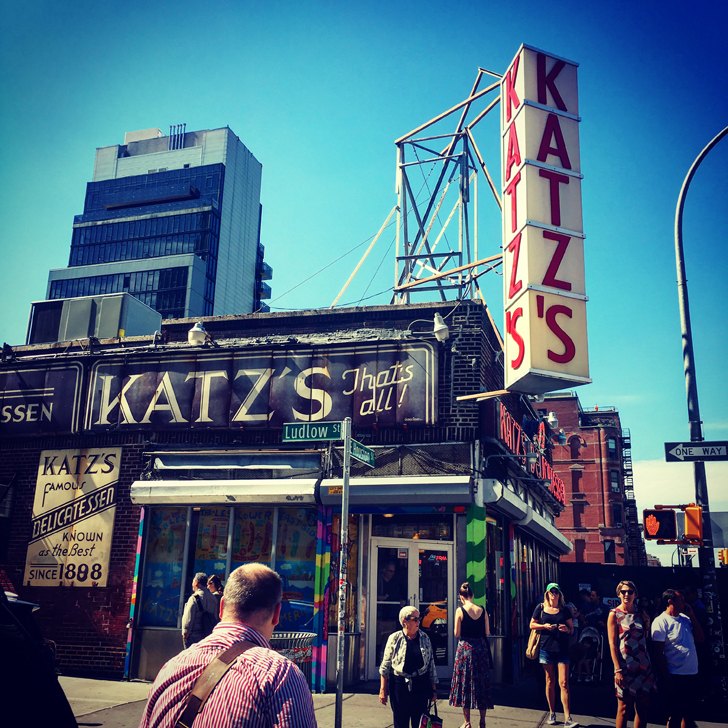 What would New York be without its bagels? 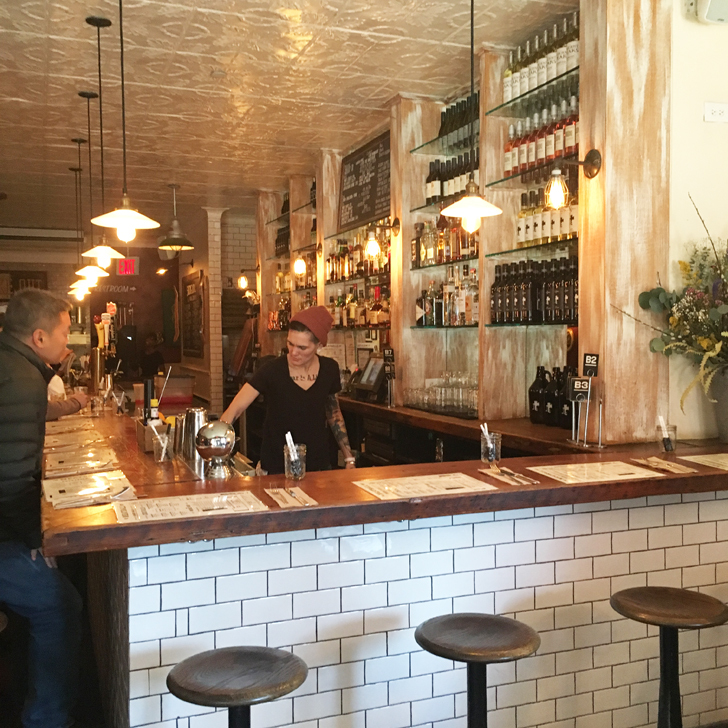 One of our favourite spots for breakfast or lunch and a staple on each and every trip so far. 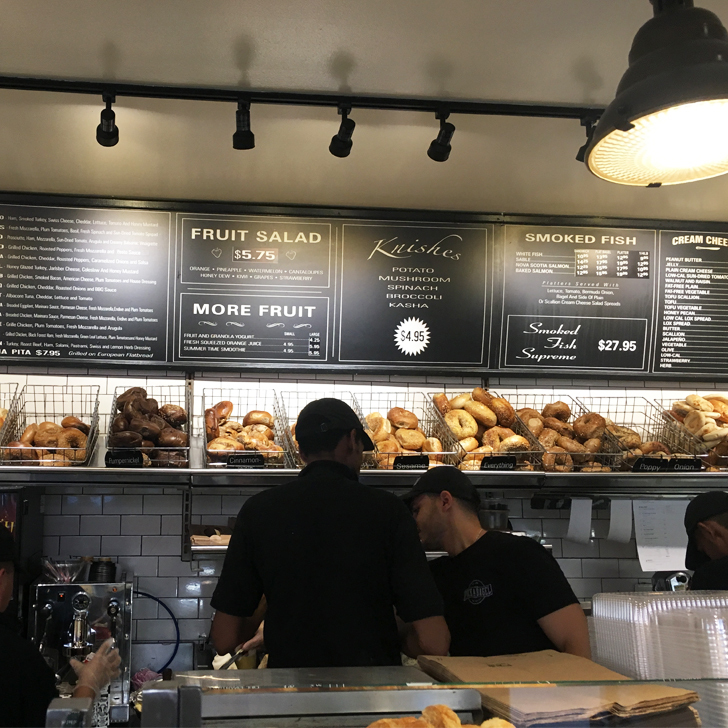 They have a great selection of bagels and toppings. 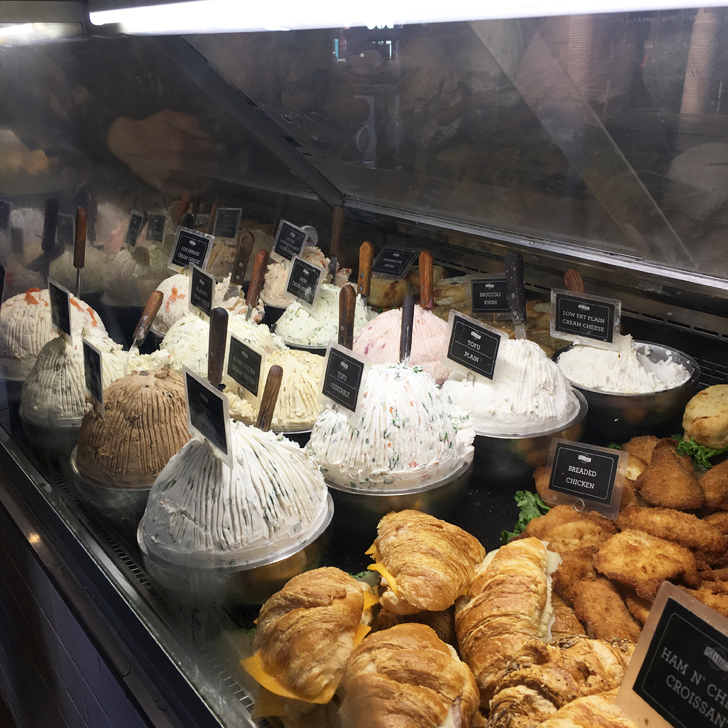 Our favourite is plain and simple cream cheese or chicken salad. As these bagels are proper deep filled, my advice would be to purchase one with filling and one plain and then share the filling between both bagels. Saves you some money and there is still more than enough spread on each. 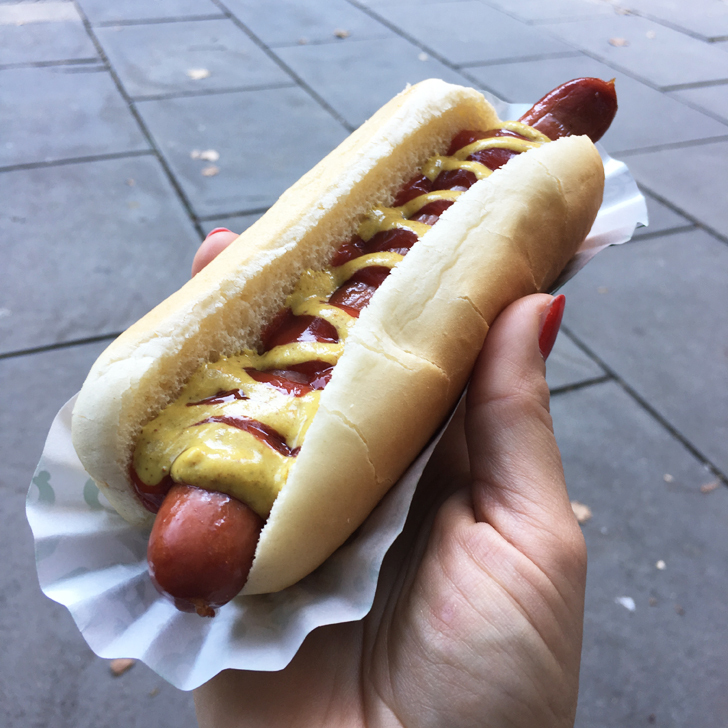 When it comes to street food, the hot dog surely is one of New York’s classics. 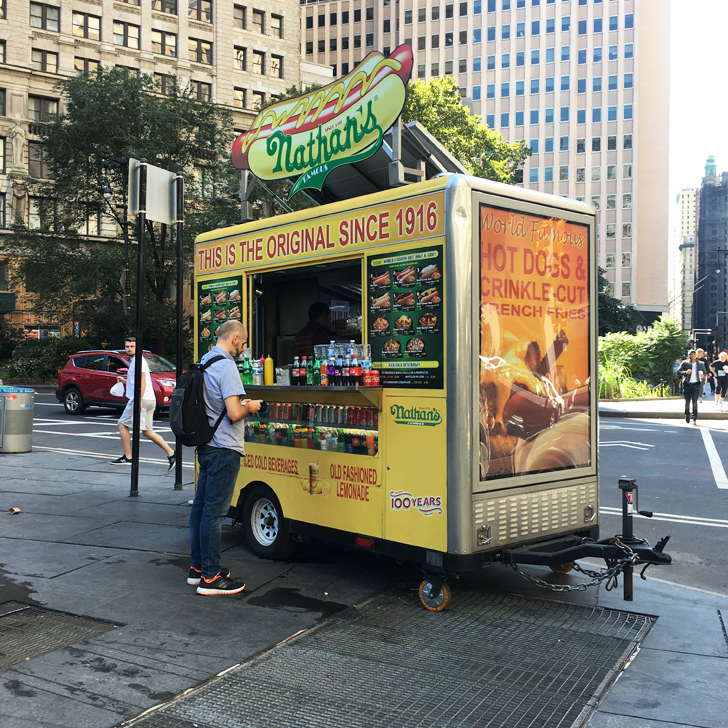 Nathan’s has been around for 100 years and you can spot their bright yellow stalls all throughout Manhattan. If you prefer eating whilst seated, head down to Coney Island for their restaurant on the board walk. We’ve only recently discovered this restaurant and what shall I say. It pretty much does what it says on the tin. 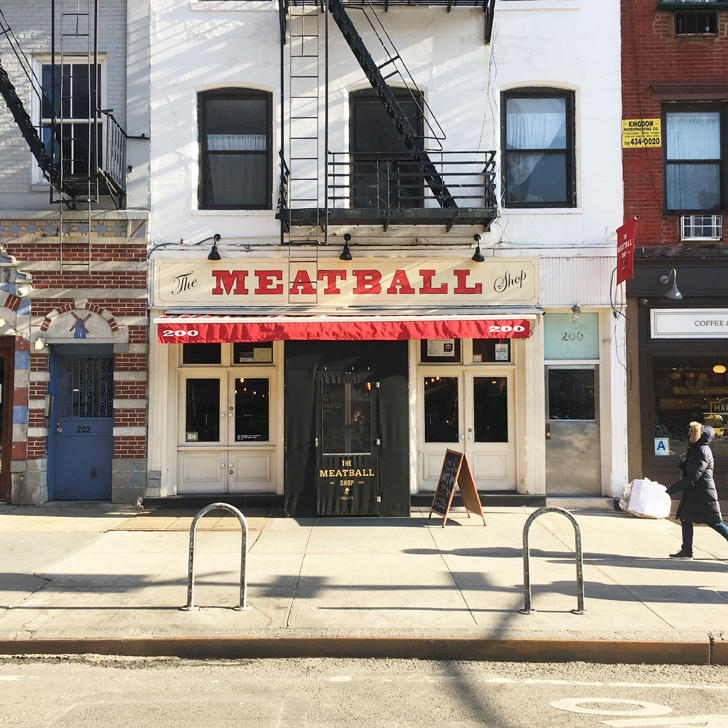 It sells meatballs. 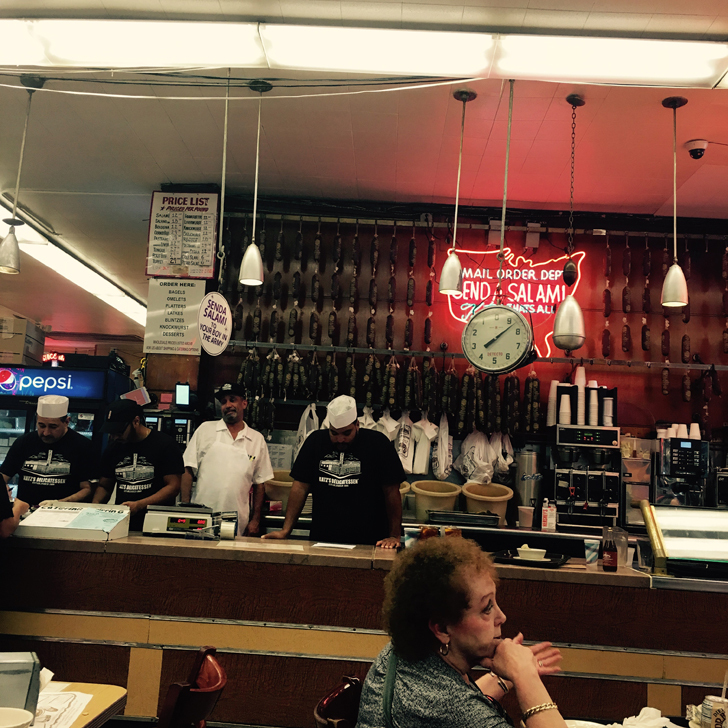 I don’t’ know if they are the best meatballs in New York, but they surely are rather tasty. 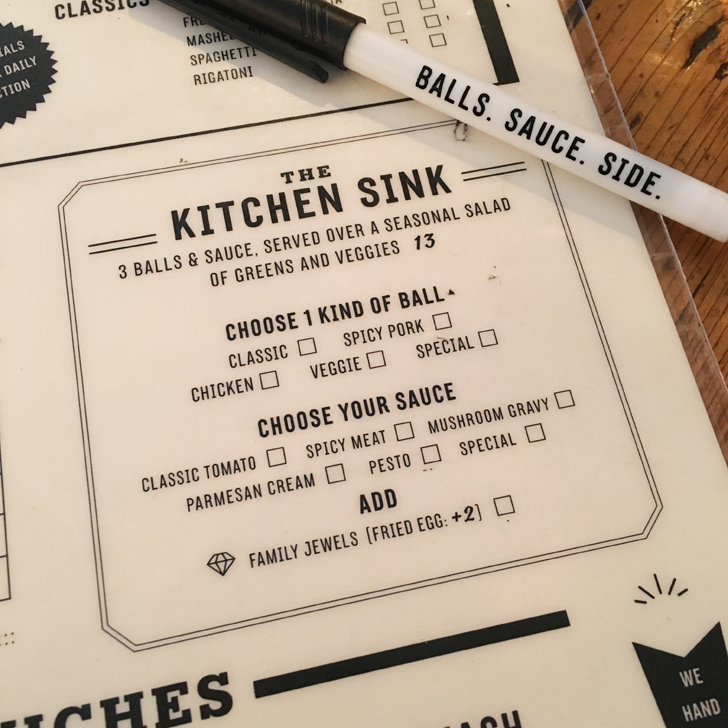 To place your order you get a laminated menu and a wipe clean pen and you just tick everything you want and hand the menu back to your waitress. As I said in the beginning, this is not necessarily the Ultimate Food Guide for New York City. This is merely a run down of my favourite foods there. I might add more things to this list as I visit again next week, we’ll see. What are your favourites? Tell me your recommendations on what to eat in New York City! You definitely should do. It is well worth it. I would advise trying to miss main lunch time though, it gets rather busy and their ordering system is a little chaotic. 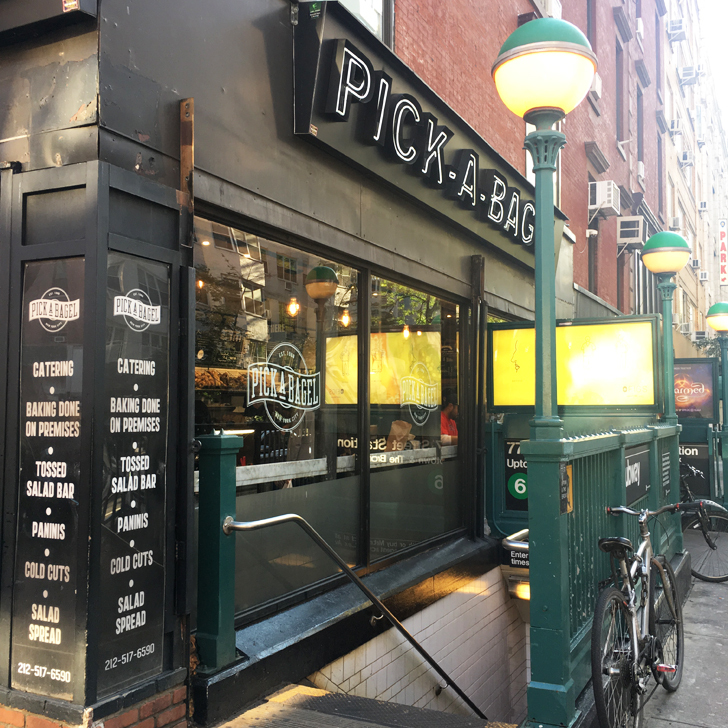 OMG I loved Pick a bagel and Meatball shop! 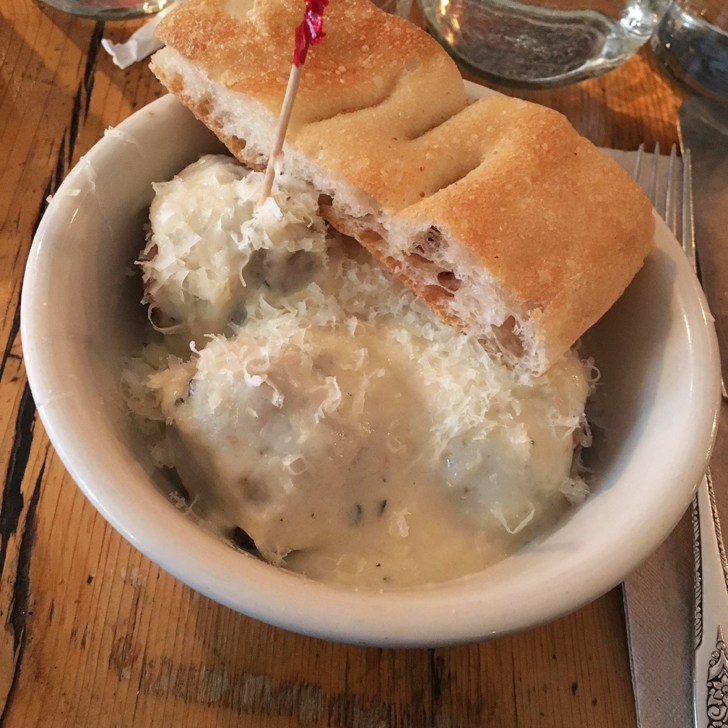 The bagels were delish and the meatballs were so unique!